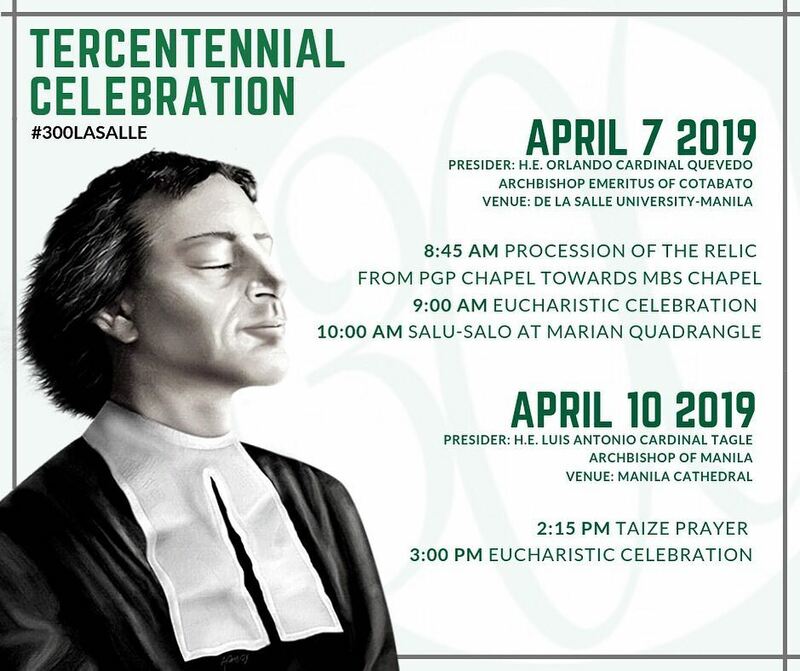 On the occasion of the Lasallian Jubilee Year in honor of the Tercentenary of the death of our Founder – St. John Baptist de La Salle, the Lasallian Family will be celebrating his faith and life through solemn Eucharistic celebrations on April 7 & 10, 2019. The Lasallian community here in DLSU will be coming together to celebrate the feast day of the Founder through a Mass with His Eminence Orlando Cardinal Quevedo and a simple salu-salo inside the campus. The Philippine Lasallian Family in Luzon will be gathering for the Feast of our Founder at the Manila Cathedral. Through the assistance of young Brothers in formation, the relic will be brought to the Manila Cathedral for the veneration of the faithful. The Eucharistic celebration on April 10, 2019 will be presided by the Archbishop of Manila, His Eminence Luis Antonio Cardinal Tagle. These celebrations aim to spread the awareness that our Founder is the Universal Patron of Teachers. 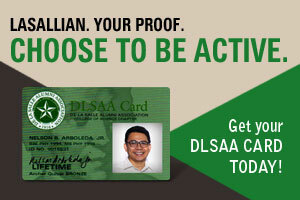 We invite all of you to join the Brothers and the Lasallian family in these momentous celebrations.